This is counter-intuitive Ambhi had become Alexander’s ally on the condition he would be given Porus’ kingdom. So why reward the enemy, whose army had just mauled the Macedonians? The Macedonian army had a system of rotation where large batches of veteran soldiers were released to return home (with sufficient gold and slaves). In their place, fresh troops eagerly poured in from Europe. A few years before the Indian campaign, a large part of the Macedonian army was massacred by the [Indo-]Scythians (Hindu Shakas, the Buddha’s clansmen) at Polytimetus, present day Tajikistan. Alexander warned his surviving troops not to discuss the massacre with other soldiers. 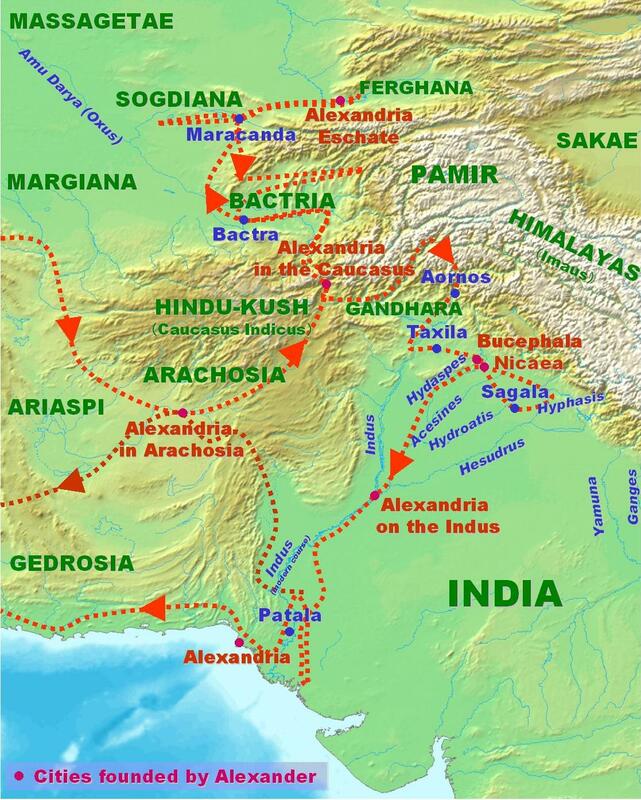 Porus was defeated, it is idiotic to believe that Alexander would reward him with his kingdom. The kingdom was retained by Porus because Alexander was defeated. And why would he take perilous path to exist from India, if he was weary to return home? Why would he not return through Afghanistan? Because, Ambhi gave him passage to hell, where Porus was waiting. Either Porus will finish Alexander or he gets Punjab as a price for exist of Alexander surrounded by victorous enemies. As he did not get Punjab, he sent him to another hell- deserts of Baluchistan, where his army was massacred. I agree with Rajiv Tripathi; but also say this too: The Indians of those times had the valour, courage and commitment; after those times and upto the present, we lack that sort of Rulers and Kings, who alone could support those Grand Cultures. Unfortunately, people with inferior talents, jealousies, lure/Lust for fair skin and Wealth have put down the Far Far Superior-wonder how this could be possible-personalities and put down ‘THIS GREAT HUMAN HERITAGE’!! And this style continues! I have seen and suffered this type of behaviours in my services and the falling down of Very good Institutions!! Feel sad and helpless!! thanks for elevating and boosting write up in good prose.indeed we had been superb all along but for unknown reasons our own peoples are playing us down for sake of outsiders.our own peoples are our harmer.our own independent India seems under alien occupation through our own.